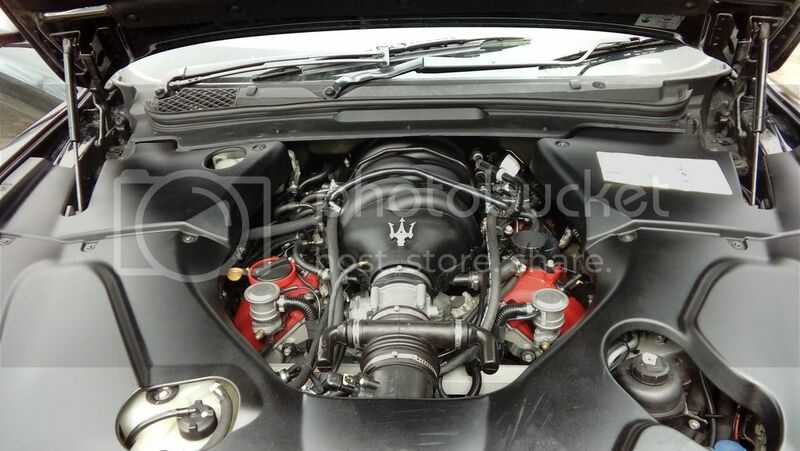 I just converted a Maserati GranTurismo. KME Nevo ECU, Romano HD (new type square style) reducer, singular MJ injectors, cylinder tank, hidden apdaptor type filler behind the petrol flap. Runs totally on LPG after changeover and can't tell the difference between running on petrol or LPG. Very smooth changeover, etc. 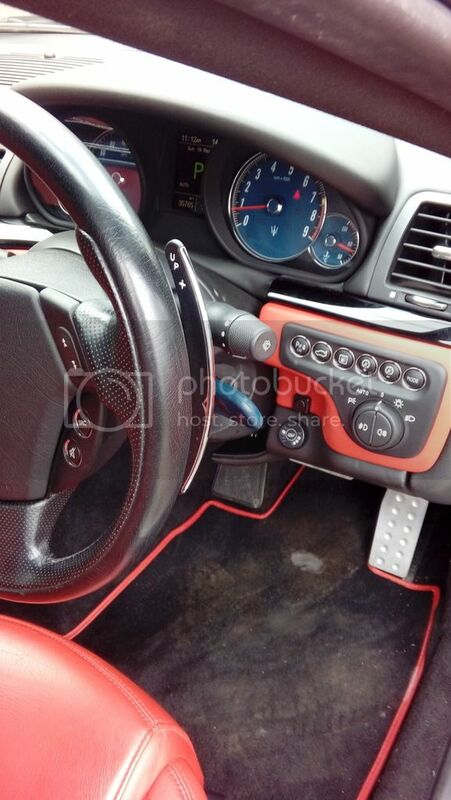 The owner has recently started a luxury car and super-car hire business.. This car is intended to be his own personal car but he says he might change his mind and rent it out. I'm sure he wouldn't mind me passing on his business contact details to anyone wishing to hire, I may be converting other vehicles from his growing fleet such as Aston Martins etc. 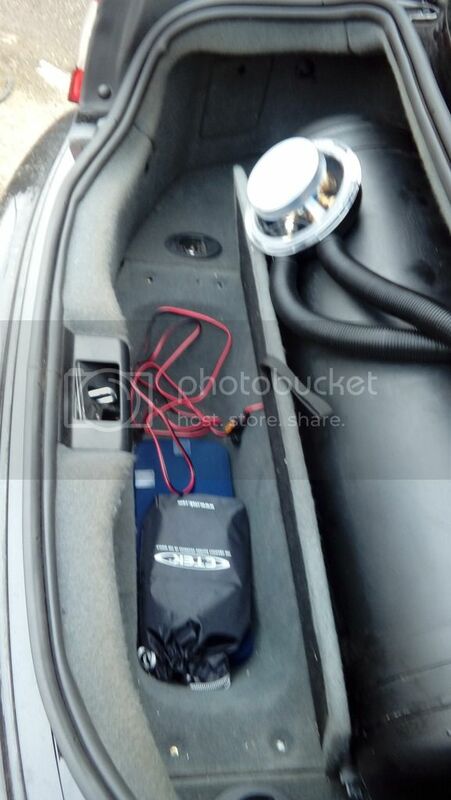 Tank is fitted without making any additional holes through the boot floor, frame bolts to existing tapped fittings in the box section part of the monocoque chassis, the frame extends underneath boot carpet to reach those fittings for strength and tidyness. Tank has 65L water capacity and I got 55L in it. Valve has 8mm outlet. Not a massive deal to remove the tank but not something you'd want to be doing often... The battery lives under the tank and in previous discussion with the owner I advised fitting an accessible jump point, the owner chose to fit an accessible charging point instead. 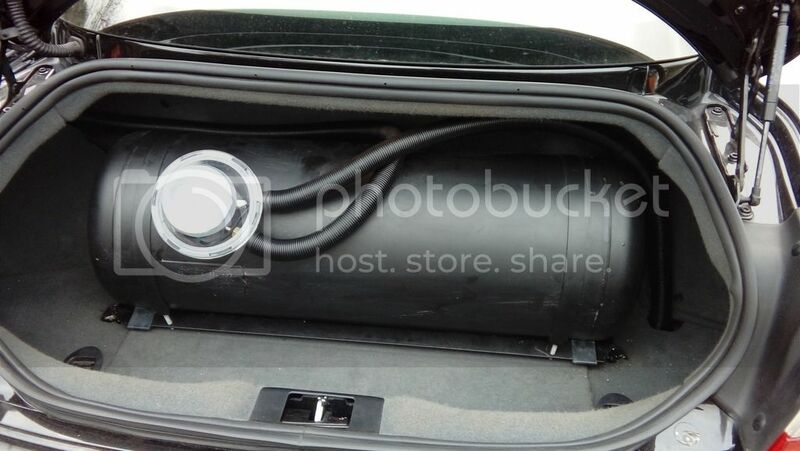 At the very rear of the boot there is a small storage area under a flapped section of boot floor, tank was chosen to allow this flap still to be opened. The accessible charging point connection is in the underfloor storage area. Discrete filler point boss behind the petrol filler flap, 16mm external thread type for strength. and with the UK bayonet type adaptor screwed in place. LPG system fuel changeover switch, status and level gauge. 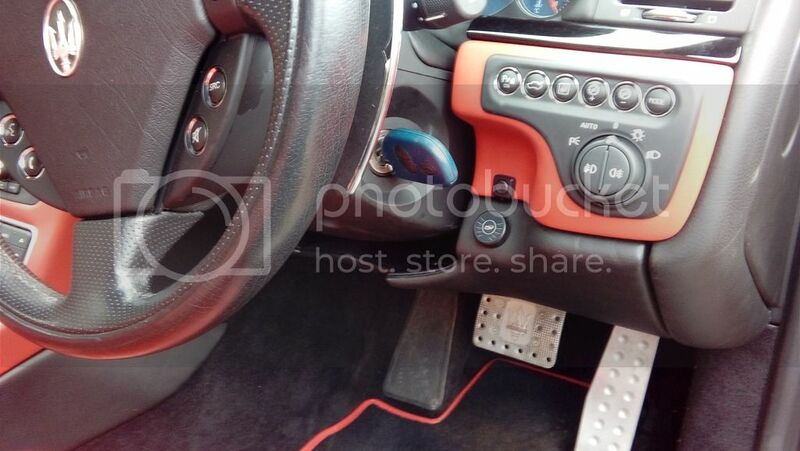 I (and the owner) think this is the ideal position for the switch on this car, fits in with the rest of the look of the dash like it was original Maserati equipment, easily visible and accessible to the driver, auto dims when it is dark so doesn't glare. It is fitted in an area of the dash which is on hinges to allow access to the car's internal fuse box and OBD socket, fitting the switch only meant making an 8mm diameter hole through this section of the dash... but still, if ever the LPG system was to be removed and if the owner wished to get rid of the hole, this hinged section would be much easier to replace than other areas of the dash. They are some engine bag covers! Makes the engine look small! Nice big area around the petrol filler for the lpg filler! I was very pleased to see the petrol filler area was that size and shape Simon, on a car like this the discrete filler was obvious first choice, owner thought so too. Took some pics with the engine covers off too, work in progress etc, but haven't uploaded them yet (too right photobucket is slow these days, took long enough to upload these pics and then just as long again to obtain the lnks). Above pics are those I emailed to the owner, out of the country and won't see the car in person for maybe a week, sent his driver to collect. 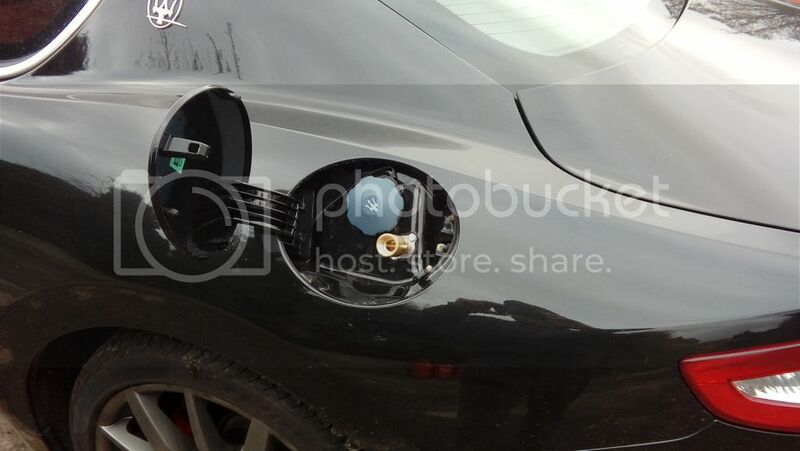 Not because there was anything wrong with the LPG system (because it runs flawlessly on LPG) but because the owner is swapping it for a Bentley. The current owner of the Bentley doesn't want the LPG system on the Maserati. But the current owner of the Maserati has said he will be asking me to convert the Bentley It's a W12 model. 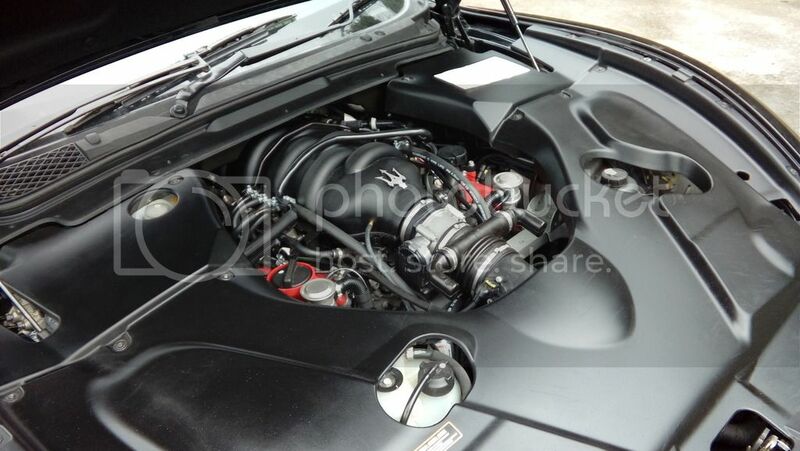 Below is a pic of the Maserati now. The current owner had it repainted in white. Cool registration number eh! Not done many miles since I converted it in March last year, only 11600km according to OBD live data. The live data figure for km covered since the MIL light last came on will be the same as the km covered since I converted it... and this also proves that there have been no problems with the MIL (engine warning) light coming on since I converted it. The MIL is on in the pic because MILs always come on with the ignition but should go out when the engine is started, I had the ignition on but hadn't started the engine. A few other cars in the pics too. I sorted the LPG system on the AMG ML in the top pic... and converted the same owner's new Merc ML AMG63 to LPG too. Converted a few more ML AMG63s since I converted his though. Just converted the Nissan Elgrand on the left (being collected tomorrow), have converted quite a few Elgrands recently and bought one myself.. mine is the scruffier Elgrand on the right lol. A Bentley! Is this a 1st or have you ever converted one before? Your doing alot of top end cars lately, must be nice working on some of them. I've converted Bentleys and converted the W12 engines but I haven't yet converted a W12 Bentley. 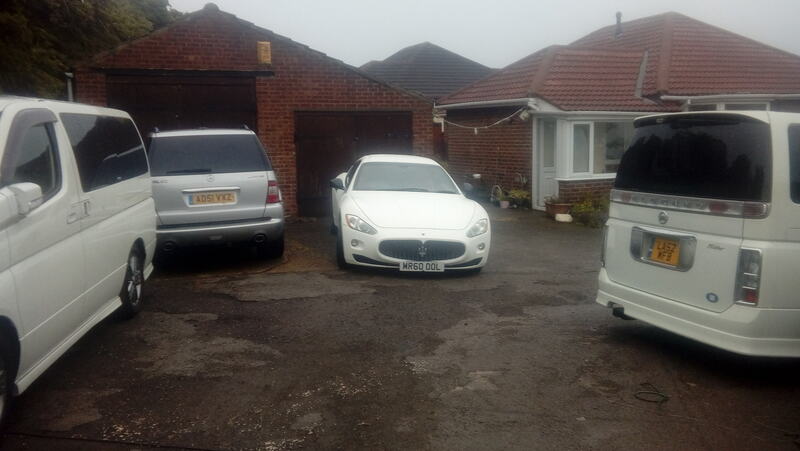 Nothing came of the ex-Maserati owner's mention that I'd be converting the W12 Bentley he swapped the Maserati for and I haven't asked if he did the swap etc. 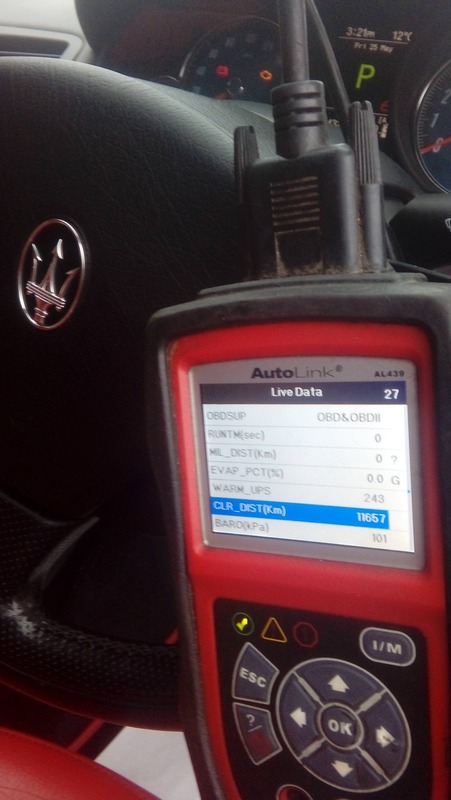 The new owner of the Maserati you previously converted to LPG for me, and then removed, would like the LPG system placed back onto the vehicle prior to sale as he plans to do more mileage in the car than previously anticipated. He was also impressed with how it ran when it was previously converted, hence the request. Do you still have the previous kit with you? If so, are you able to reconvert it? Would the price still be £**** or are you able to reduce it if the materials are still with you? 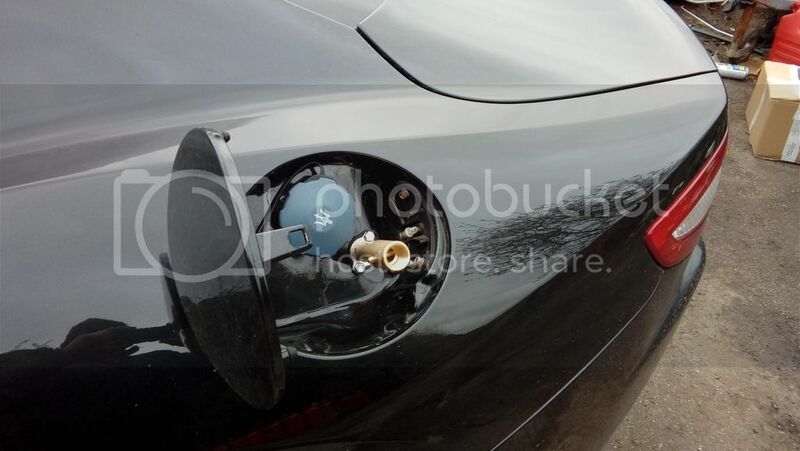 Of course I replied I'd be happy to re-install the LPG system on the Maserati. 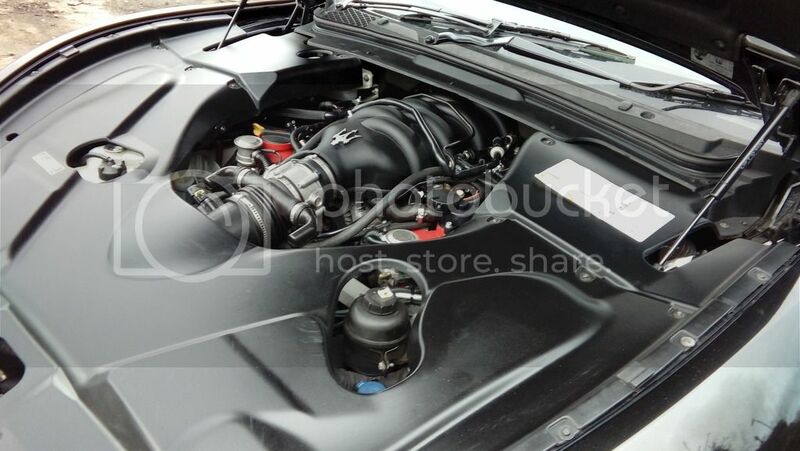 Currently converting a Merc E55 AMG (5.5 supercharged and suped up to over 600bhp). I've converted a few of these but this one has an E63 AMG front end (I've converted E63 AMG's too, in fact just about all AMG models) and the owner reckons it's a work in progress having at some point been driven into the back wall of his garage. 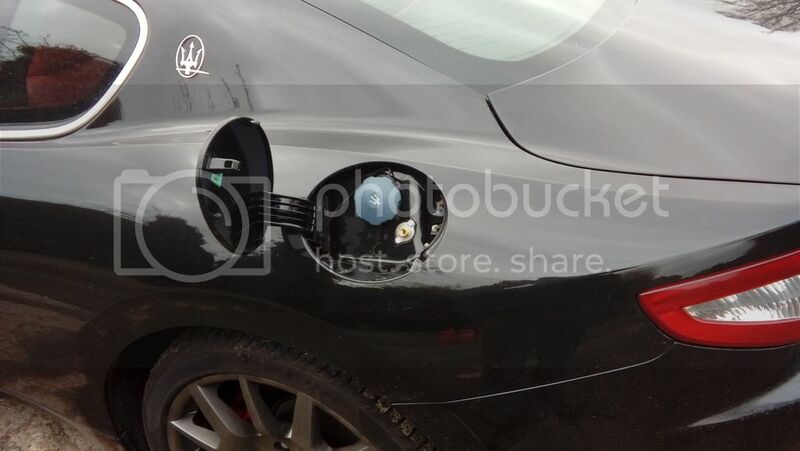 The Maserati is back for the LPG system to be re-installed (as per above post). Same car but it's been re-sprayed white. I've been working on it today... another Sunday at work bah! But had to work on it today as have another 2 vehicles coming in for conversion this coming week, one in the morning.